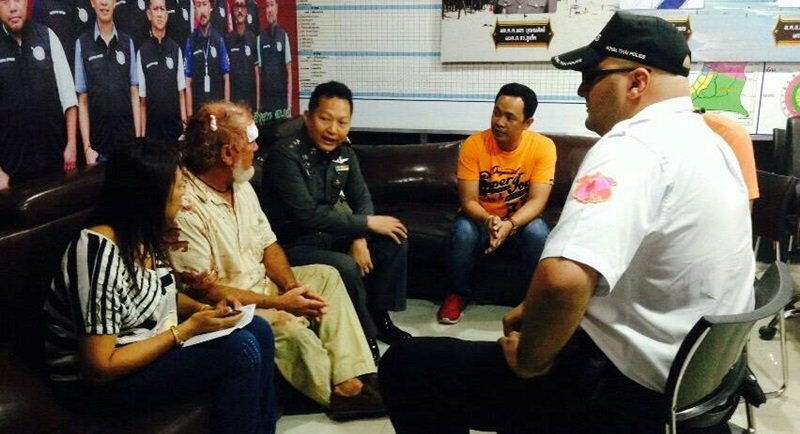 An Australian expat was arrested in the early hours of this morning (March 11) after he stabbed to death a member of staff outside of the Tai Pan nightclub in Patong. At about 12:30am rescue workers who were called to the scene gave the victim, Sanya Khlueawaengmon, 25, an employee at Tai Pan from Lopburi, CPR and rushed him to Patong hospital where he died of his injuries. 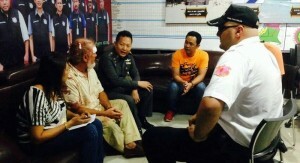 Police were able to apprehend the suspect, named as Mark Hamilton Pendlebury, 59, from Australia in front of the Bangkok Bank about 100 metres away from Tai Pan. Police also seized a pocket knife which they say was used to stab Mr Sanya. Pendlebury was taking a video on his mobile phone of a fight which was taking place between a Frenchman and an Indian in Tai Pan. Mr Sanya asked Pendlebury to stop taking the video, a fight ensued during which Pendlebury allegedly stabbing Mr Sanya in the stomach. Pendlebury is currently being held at Kathu Police Station. Pendlebury has been in Phuket more than 10 years and is the owner, with his Thai wife Cha Cha, of Phuket Sail Tours, which conducts sailboat tours, mostly in Phang Nga Bay.